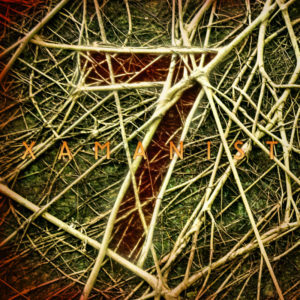 "7" is the second album by Portuguese producer Xamanist (Sérgio Ribeiro). Seven years after making his debut with Initiation (also released on Ektoplazm) comes this seven track journey through earthy and organic full-on and progressive psytrance with strong old school Goa trance influences. These songs reflect the seven years of change, growth, and evolution, all of which reshaped his creative vision. Featuring voices by Sérgio Ribeiro, Joana Tomaz, and Mia Ribeiro. Track 3 originally by Random Mode. Mastering by Colin OOOD at the Stooodio with artwork by Basilisk. So, hello mr. Xamanist. Nice to meet you. As it is case with me very often, this is first time i heard of this artist. You guys would be surprised how narrow "knowledge" in general I have over the scene in this terms, although I have been listening to Goa for eternity now. Maybe the internet was to blame (or precisely - the lack of the same), financial situation that was not keen on anyone loving the music and wanted to actually buy something back in my teenager days in my hometown (it was damn after war period so things were a bit complicated in this terms), or just the fact that I was on the margins of the civilization here in Croatia, small village with all its limitations to acces basically anything related to music except minor electronica radioshows that ofcourse didn´t play Goa/Psy back then. In the meantime i got older and lazy as fuk to remember anything but music itself (which started to change lately, fortunately). I love more than several tracks from this album. And I wanted to give him nice feedback on album in promo post and ended writing a review. - Album takes off with "Re-Restart" which is darker track in the beginning, but it reveals its melodic atmosphere towards the end - which got me going through the second part of the track nicely, well done! You can hear 90´s influence allover this track, and this is what boggles my mind in a very positive way, yet the track contains modern elements that keeps it present. I find it somewhat as mixture of softer melodic "Jaia" like GoaTrance and Oldschool trance from 90´s. - Second track "DNA" goes with more classical simple GoaTrance approach, but that entrancing repeat of that melody in the begining gets me in a trippy state of mind that prepares me for the tide that is to come next. Track is very well balanced in terms of arrangement and I dig this one the most, after "Am I The Universe" track. Lots of higlight moments in this one, small portions of variation that change in subtle way and layers that work rhytmicly so well that it lifts me from my chair and force me to dance! Proggy trippy GoaTrance i would say! - "Electronic LSD (Xamanist Remix)" is more on fullon side of things, so is the original - but so far i hear more GoaTrance in this album/ track than Fullon - it´s more like it is FullOff while Goa-ish flow takes control of the things happening through tracks. This track is once again nicely blended so you can´t certainly distinguish the two (something that Ofoira did in last album "Read More" which attracted me to this one also). Nicely measured mellos, effects which give you that classic Goa feel while kick and bass drive you in FullOn fashion way. In fact very good RMX of very good original that I also listened for the first time this morning. - "Darkness Be Light" is point where I thought it will be weakest spot of this album. That intro melody was bit irritating for me (totally subjective here), and this is where it goes more towards FullOn but once again it keeps old fashion melody drive present but not in a way that kept me interested into track. 2:58 is where it gets my attention back on track, another well measured mello drive that holds you tight with background atmospheres swiping through and through. Towards the end it gets slightly more energy even though melodies go in second plan here, accent is more on overall feel of atmospheric drive but again it works well for me. This one is first where I notice more progressive elements, mostly arrangement wise - something I always dig a lot, good example is Lectro Spektral Daze. - Track 5, "Bubbles" pretty much the same like previous one got me impatient to almost skip first part of the song, but things start to pickup pretty quick. Around 2:17 it gets needed drive that corrects the initial dissapointment I felt with this track. Artist got to have me going up and down in waves on this part of album, which I usually find good, but here I say this one is definitely weakest point of album for me. This track gets some more mystical melodies later, but I have feeling it is dragging from beginning towards the end. It gains more energy on second part, but it lasted eternity to get there. While it is not a bad track, it is not my style so I won´t yell too much It definately has some interesting moments happening closer to the end (again that progressive arrangement). - "Plant World" picks my senses once again. Nice start, takes off with proper kick/bass drive and tribal percs. Melodic part starts simple and then goes into upwards swirl around 1:49. From there things tend to go faster then in previous two tracks and keeps your brain expecting what comes next. Short break and then things dissolve a bit, in a good way - it gives you mindbreak to enjoy small fragments of fx sounds combined with subtly chopped mellos before it brings you up in a trippy kind of acid line combined with airy leads. I find this interesting from my point of view as I usually do not listen to this style but more it evolved, this track reminded me of drive that Lectro Spektral Daze achieved for me on "Psytrance Powers My Space Engines", i felt hype while listening to it! Good work on this one. - Last but not the least "Am I The Universe" is nicely picked closer. It tricks you like it´s gonna be classic slow closure of an psytrance album with beautiful like, chill/downtempo start of a track - and then it bangs you with kick/bassline and waving atmospheres until that simple acid line kicks around 1:39 - early enough to keep you craving for more. This one I feel like full progressive and I like it a lot. My kind of trance. I produced similar stuff back in the beginning of 2000s when I started with my first work in Reason (much more simpler tracks ofc.) but - same melody patternwork, and this is pure nostalgy and love for me! I love this track over all other on this album just because of this. Middle is a bit draggy, but more to the end it backs up with atmospheres and organic mellos + that contaguous simple yet powerful acid which will keep you in the track till the end. Overall I would give this one 7/10 on second listen. I still have to listen it properly on my monitor system to hear the sound (I gave it 2 listens here @ my workplace on pretty crap but honest speakers ), and then I will update my "verdict" on this one. What is sure is that we will play at least one of this tracks @ next weekend gig here in ZG to test it on the floor! Summary: Very good album that in whole worked for me except "Bubbles" track which is not my cup of tea. Thanks again for the detailed review (we already changed ideas on the promo post), looking forward for your interest and feedback on new tracks that are slowly cooking on my goa melting pot! As always, new tracks keep surprising me and taking my music into new directions. Looking forward to hearing your new stuff.